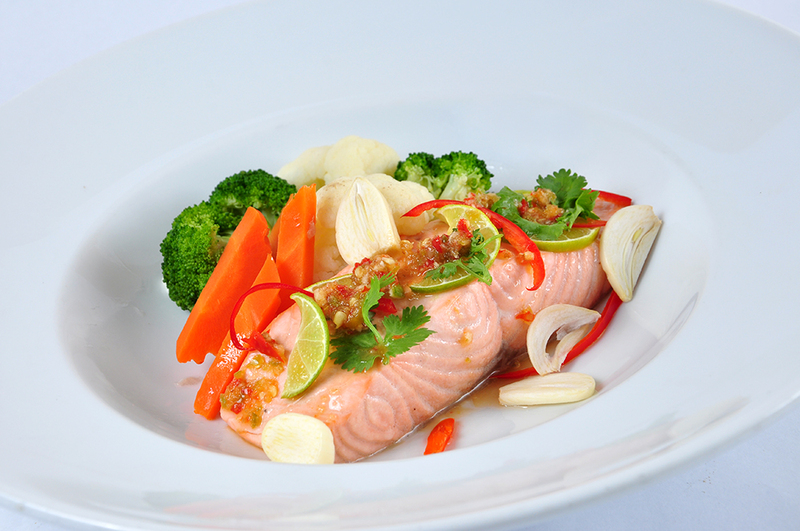 Time to Expose Who Creates the Heavenly Dishes at Chatrium Hotel Riverside Bangkok! 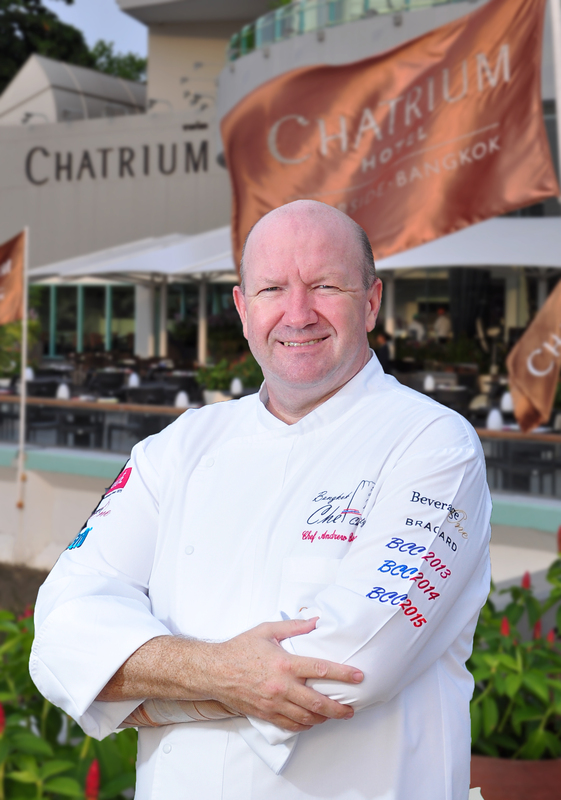 Originally from Northern England, Chef Andrew Brown, Executive Chef of Chatrium Hotel Riverside Bangkok began his culinary experience cooking in a hotel in the Yorkshire Dales while completing his catering studies at a local tertiary college. His passion for cooking was evident at an early age, but his experience at the hotel enhanced his ambition when he achieved early culinary success after the hotel was awarded a Michelin Red M, one step below a Michelin Star. Longing for city life and having completed catering school, Chef Brown relocated to London and secured a job at the Ritz where he met and was inspired by accomplished Chef, Stephen Goodlad. Chef Brown joined Goodlad when he moved to Pennyhill Park in Surrey and later at the Grosvenor House Hotel’s 90 Park Lane Restaurant, which was awarded a Michelin star while Brown was there. Chef Brown later joined Goodlad again in Australia when he asked Brown to join a team of chefs at the Burnham Beeches Hotel in the Dandenong Ranges. Chef Brown’s first experience of opening and running a kitchen took place at Blakes, an Australian restaurant based around the South Australian wine industry located at the then Hyatt Regency Adelaide. For his efforts, the restaurant won a Chef’s Hat tourism award. Brown moved on to the Grand Hyatt in Melbourne and then the Radisson Group in Australia where he landed his first multi-outlet operations. After some serious globetrotting which s aw Brown in New Zealand, China, Malaysia and The Maldives, Brown journeyed to Thailand where he first worked in Pattaya as the Excecutive chef for the opening of the Centara Grand Mirage Beach Resort before relocating to Bangkok as Executive Chef of the Chatrium Riverside Hotel. 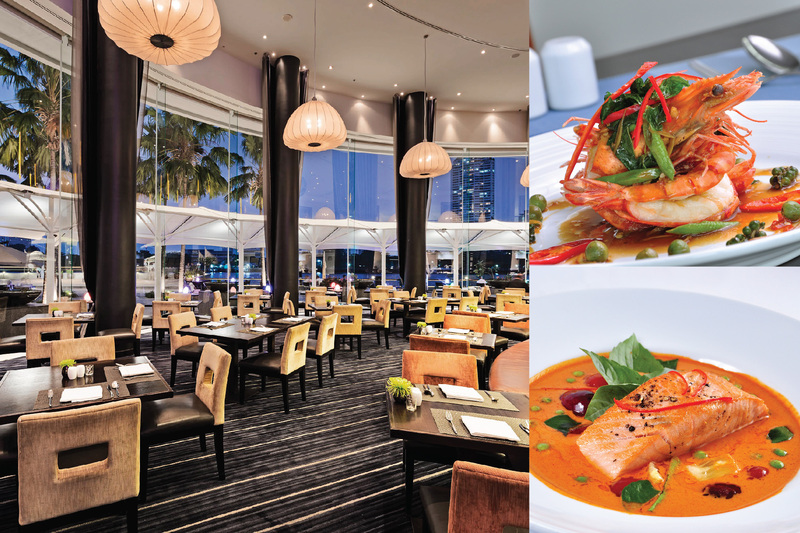 At Chatrium, Brown introduced the Wow buffet, which includes items that are a real value for the money and allows customers to try styles of food that would not normally be included in a buffet; such as different styles of prawns, lobsters or foiegras. After the Wow buffet was introduced, Chatrium’s covers increased to over 200 per night on the weekends and 130 per weekday. To handle the demand for his cuisine, Brown supervises over 50 staff who work in the River Barge and Silver Waves kitchens at Chatrium Riverside. He states he loves Bangkok and Chatrium’s location by the Chao Phraya River. The river he confirms is beautiful, but the selling point of the location for him is its convenience to the rest of the city which can be reached without the hassle of driving.